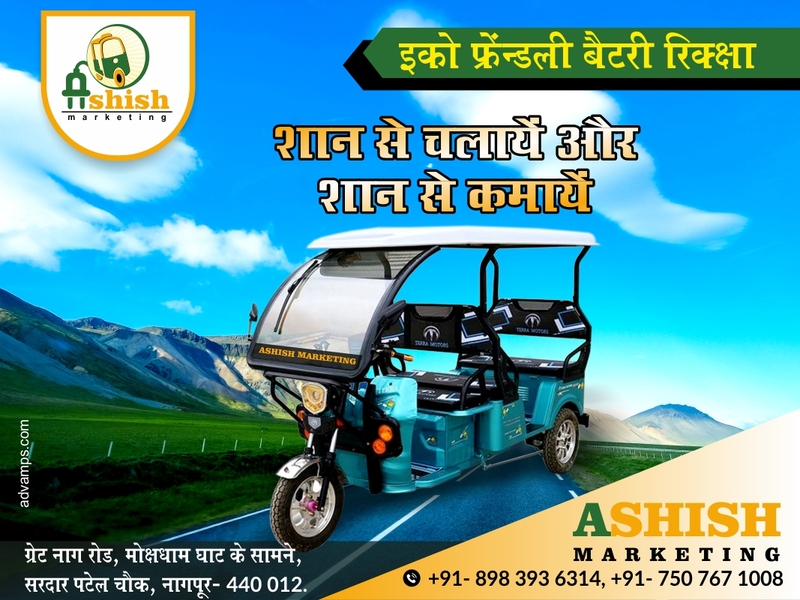 Nagpur : The Nagpur chapter of the international society for Krishna consciousness ISKCON situated at the empress mall compound, near Raman science and under the guidance and association of his holiness Loknath Swami Maharaj the annual cart festival of Lord Jagganath is to take place today. The Rathayatra starts at 12 noon from Poddareshwar temple. To start the festival the deities of Lord Jagannath, his Brother Balbhadra and sister Subadhra will be offered the 56 Bhogaram and thereafter the invited guest will be performing the rituals of cleaning the Rathyatra road and doing the Aarti. After his holiness Loknath Swami Maharaj hoists the green flag, the ocean of devotees will start pulling the Rath. The Lordship Sri Jagannath will travel giving his mercy from mayo medical square towards agrasen square ,Lal imli square, Vallabhacharya square, Khule chowk saraffa bazar, Gandhi putla, Bachhraj Vyas Chowk,, Tilak putla, Thadeswari Ram Mandir to Agyaramdevi square, Cotton market to empress mall gate and will conclude at the premises of empress mall compound. ISKCON has organised a big cultural program event at the empress mall compound wherein the international devotees of the Hare Krishna movement who have flocked in the orange city from various country’s like USA, Brazil, Venezuela, China, Russia ,South Africa ,Mauritius to attend and participate in this grand Rath Yatra, will perform various spiritual. The event will commence from 6 pm and will continue till 9 pm. Many international musicians will be for performing in this festival of Lord Jaggannath. After the arrival of the Lords cart the deities will be offered 56 Bhola and his holiness, Loknath Swami will perform the maha-aarti. Loknath Swami Maharaj arrived at Friday, from Pune. 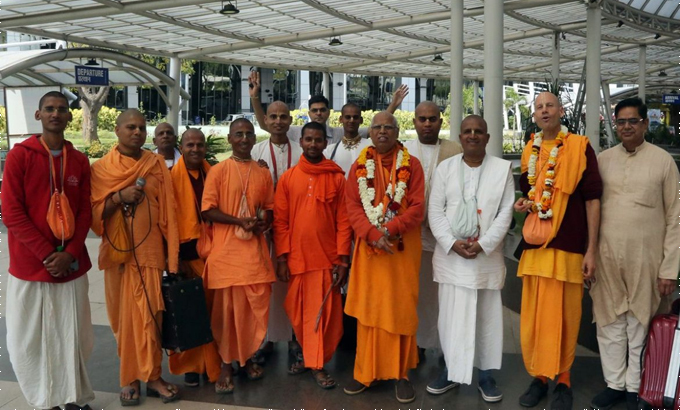 He was welcomed at the airport by ISKCON Nagpur President, Parmatma Das, Padyatra Chief, Acharya Das and other devotees by offering garland while numerous devotees sang the Hare Krishna Maha antra kirtan . Along with Loknath Swami, Eklavya Das from New York USA, Shubhang Balram Das and Anadi Gaur Das also arrived to be a part of this holy Rath Yatra .